The beauty of a book club assignment is that I end up reading something I would not normally have chosen. I didn’t think I would like this one much, but it actually is a unique novel — a bit of a cross between Catch-22 and One Flew Over the Cuckoo’s Nest, full of dark humour and absurdity, but also quite moving. 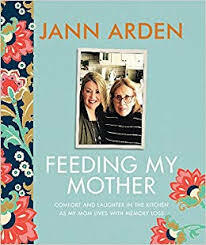 The author spent 10 years in a mental health institution herself which lends authenticity to her observations. Set in a London mental hospital called Dorothy Fish, ‘N’ is the narrator (speaking in a North London accent) and tells us all about life inside this institution where she has been a patient for thirteen years. N fears being declared well and being discharged because Dorothy Fish is all she’s ever known. 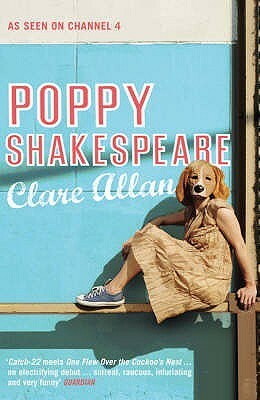 Enter Poppy Shakespeare. Poppy is very sure that she is not mentally ill and has no need to be there. N agrees to help her “work the system”. But in this world things begin to seem upside down indeed. Who is sane and who is not? N and Poppy embark on a quest with devastating consequences. The book reminded me of an old Dustin Hoffman and Tom Cruise movie called Rain Man. Dustin Hoffman plays an autistic savant who inherits his father’s multi-million dollar estate, much to the chagrin of his abrasive and selfish brother, Tom Cruise. Charlie didn’t even know he had a brother! As Charlie gets to know his autistic brother (purely for greed), he gains not only a brother, but a whole new view of the world and relationships that is vastly different from the high-flying high-speed one he has known so far. Again, the viewer is left pondering ‘who is the challenged one’ here? This entry was posted in Fiction and tagged Clare Allan, Poppy Shakespeare. Bookmark the permalink.